Over the last decade, the Phoenix area has become extremely popular with tech companies escaping the high cost of real estate in California and other areas. And it’s long been a haven for retirees and snowbirds escaping the cold winters up north. Regardless of your reasons for moving, if you are moving from a different state or outside of the Phoenix area, coordinating your move may present some serious concerns. One of the biggest concerns during a relocation the coordination of selling your current home and buying your new one. You have little control over when your home sells, which can leave you in a pickle if you have to pay two mortgages for a few months. So unless you have considerable financial resources, it’s best for many homeowners to sell their current home first, before purchasing a home in your new location. If you must purchase a home before selling your old home, you could use a bridge loan, but these can get expensive. It’s best to use these for short spans of time. You can also check with your employer – some have provisions to assist key employees who are required to relocate. It can’t hurt to ask! Another option may be to rent in your new location, rather than buying, until your current home has sold. It is possible to do simultaneous, or same day closings for the purchase and the sale, but it can be logistically challenging. Make sure your Realtor(s) know up front if this is your goal. When you are buying and selling property, there are key due dates in both transactions that can put your purchase or sale at risk. If you are trying to handle these details from out of town, it can complicate an already challenging situation. You could lose your earnest money deposit or even face legal hassles if you miss deadlines as the buyer. As the seller, you could create an opening to lose your buyer, which could be disastrous for you financially. This is when it really pays to have high quality Realtors handling the transactions, who can help you adhere to all the timelines, and who communicate effectively regarding deadlines and due dates. A relocation expert would be especially helpful. as they are well versed in the challenges of coordinating buy and sell transactions. Transaction coordination is only part of the equation when staging a successful move cross country. While renting a truck and enlisting a few friends with the promise of free beer may work for cross-town moves, you will likely need to hire professional movers for a move out-of-state. What time of the month or day of the week is best for scheduling a move? Do they charge a premium for weekends, summers, or end-of-month moves? Moving companies tend to get really busy at the end of the month (or in the summer), so you may have trouble booking a date or you may have to pay extra. You don’t want to be hit with any surprises, so get all the info you can before choosing a mover. 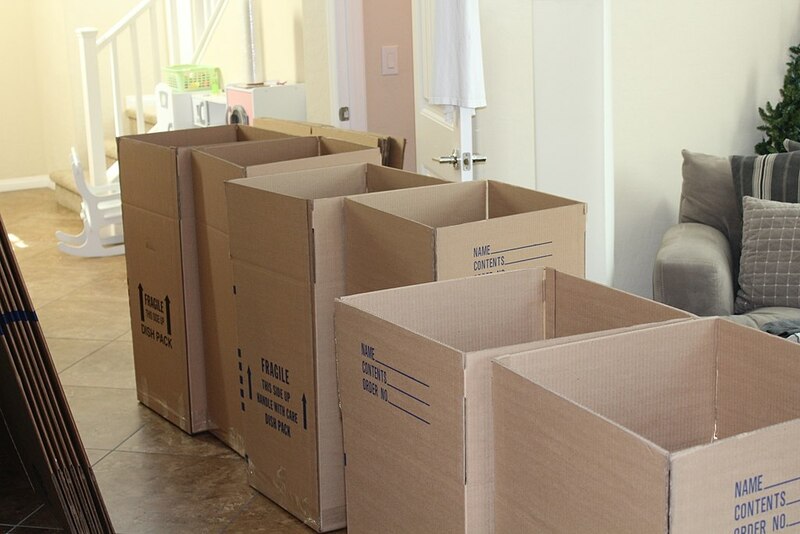 You can save some money or hassle if you are willing to be a little flexible on the day or time of the move. Many families also try to time relocation for longer school breaks, such as summer break. This certainly can relieve some of the stress of dealing with school, homework, and after-school activities while also coordinating a move. But a summer move may also make it more difficult for your child to meet new people and make friends without the backdrop of school. If you must move in the summer, have a plan to enroll your kids in a camp or sports activities in your new location, so they get to know some kids before school starts. If you are moving with pets, you will need to decide if you want to travel to your new home via car or plane. If you choose the latter, make sure you find out what the airline’s pet policy is in advance. You may need a vet certificate of health or other documentation, in order to have the pet in cabin with you (if it’s even allowed). Don’t wait until the last minute, because it may take some time to get the documentation in order. Larger pets will require airline approved crates and will be placed in the cargo hold of plane. If that’s too risky for Fido, you may want to consider driving. Whether you are relocating to or from Fountain Hills, Susan Pellegrini and Karen DeGeorge are ready to put their care and expertise to work for you. Buying or selling, our first-class service comes with a wealth of experience and eye for detail, ready to focus on you. Visit our website to learn more and contact us or give us a call at (480)- 315-1575, we’re here for you.